Many years ago two brothers, Jno. A. and Jessie A. Cotton, came from North Carolina and settled in Hinds County, Mississippi near Edwards. They both became doctors and practiced their profession in the neighborhood. The home of Dr. Jno. A. was at the three mile post on the road from Edwards to Raymond and that of Dr. Jessie on the next hill west. When the gold excitement of California sprang up, Dr. Jno. A. Cotton together with Archie Clark, Alfred Askew and others of the neighborhood set out for the Pacific slope overland. At Independence, Missouri, the doctor took sick and died. In after years his widow married H. B. Coker, a prominent citizen of the neighborhood, who built a house on the old site that stands today, typical of the style of homes occupied by the southern planters in antebellum days. At the time, the writer [Spencer] and Sidney S. Champion were boys living a few miles west of the town of Clinton. About the first business engaged in by Champion was to teach as a tutor in the family of Dr. Jno. A. Cotton. Sid Champion and Dr. Jessie Cotton became great friends, which friendship lasted thru life. In time Champion married and settled on the Vicksburg and Jackson road about one and one half miles north east of the place of Dr. Jno. Cotton, now known as the Coker place. Years later the writer [Spencer] purchased and moved to the farm next to the Coker place on the east and south of Champion's. Issac Roberts, the father of Jno. and Clay Roberts of Jackson, owned the only farm between that of the writer and Champion's. Monument to Brig. Gen. Lloyd Tilghman, CSA, in the Vicksburg National Military Park. General Tilghman was killed on the Raymond - Edwards road during the Battle of Champion Hill. When Grant marched from Jackson to Vicksburg on the 16th of May, 1863, he met the army under command of General Pemberton in line of battle across these three farms. The division under General Loring was on the right, Bowen in the center, and Stevenson on the left. As Grant's advance forces were on the Vicksburg and Jackson road, the battle opened on Champion's place and most of the fighting was done by Stevenson's and Bowen's division. In the afternoon when Grant had flanked Pemberton's forces on his left and gotten possession of Baker's Creek Bridge on the Vicksburg and Jackson road, Pemberton's army fell back and crossed Baker's Creek at the ford near Smith and Yeiser's on the Raymond and Edwards road. In order to accomplish this, General Loring's division was posted on the Cotton Hill to connect the retreating army. General A. J. Smith of the Federal forces moved up his division to the Coker Place and planted a battery in front of the house. Cowan's battery of the first Mississippi artillery was posted on the Cotton Hill, two guns on the north side of the road and four guns on the south side of the road. Here an artillery duel took place that was quite spirited and lasted some time. General Loyd Tilghman, who commanded one of the brigades in Loring's division, dismounted, and was giving personal directions at one of the guns north of the road when he was struck by a shell from the enemy's guns and was instantly killed. His body was taken to Vicksburg and buried. Some years ago two of his sons had his remains removed to New York City where they now live, and a handsome monument erected over them. Recently these sons began a correspondence with Capt. 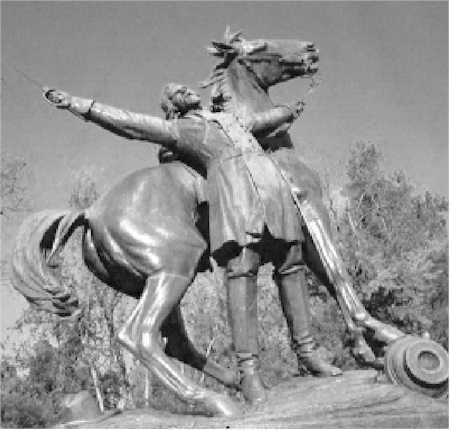 Rigby of the Vicksburg Park Commission with a view of having a monument erected to the memory of General Tilhgman in the military park at Vicksburg and of marking the spot where he was killed. A correspondence between the writer [Spencer] and Capt. Rigby resulted in bringing to the battlefield of Baker's Creek, as known by the Confederates, and Champion Hill, by the Federals, on the 25th of November, 1907, Capt. W. T. Rigby of the Park Commission, Mr. Z. Wardlaw of Utica, Hon. J. G. Spencer of Port Gibson, Mr. S. F. Thomas of Edwards and the writer to find and mark the spot where General Tilghman was killed. Mr. Thomas is now (1907) owner of the Coker Place, having married the accomplished daughter of H. B. Coker, Mr. Wardlaw was on the staff of the Commanding General during the battle and saw the ambulance that took the body of General Tilghman from the field. Mr. Spencer, the ex-congressman, was a member of Cowan's Battery and served a gun next to the one at which General Tilghman was killed and was within thirty feet of him when he fell. When we came to mark the place by driving an iron tube into the earth, we felt sure it was very near the exact spot where Tilghman gave up his life for the cause that enlisted all of our hearts. When Sidney S. Champion and Jessie A. Cotton, as young men then on the very threshold of life, were discussing with each other their plans and prospects on the very ground we have been going over, little thought they that their names would become familiar to all who read about the great battle that decided the fate of Vicksburg, gave the Federals the free use of the Great Mississippi River and had much to do with the bringing about the defeat of the Confederacy. Mr. Wardlaw, who participated in the transactions of May 16, 1863, and that of November 25, 1907, was a near neighbor and lifelong friend of Colonel Champion, Dr. Cotton and the writer [Spencer]. Historical sources: Confederate Veteran, Sept. 1910, and a 1907 document presented to the Jackson Civil War Roundtable by Mrs. Louise Gervin Windham, whose family purchased the property in 1932. Author, J. G. Spencer, was a private with Cowan's Battery, First Mississippi Light Artillery, in the Battle of Champion Hill. Most likely Spencer was one of the men in the 1907 dedication photograph but he was not identified at the time. Ownership of the Coker House is presently being transferred from the Jackson Civil War Roundtable to the Mississippi Dept. of Archives and History. The historic property was donated to the Jackson Roundtable in 1985 by Cal-Maine Foods, Fred Adams, president.